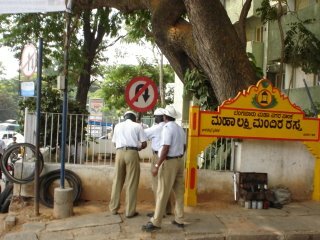 Clearway - Renaissance: Shame on you, Bangalore! There was absolute anarchy right in the heart of the famed Silicon City! 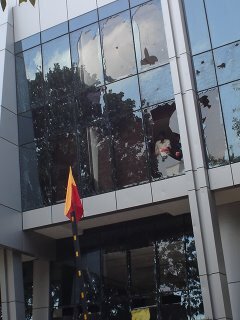 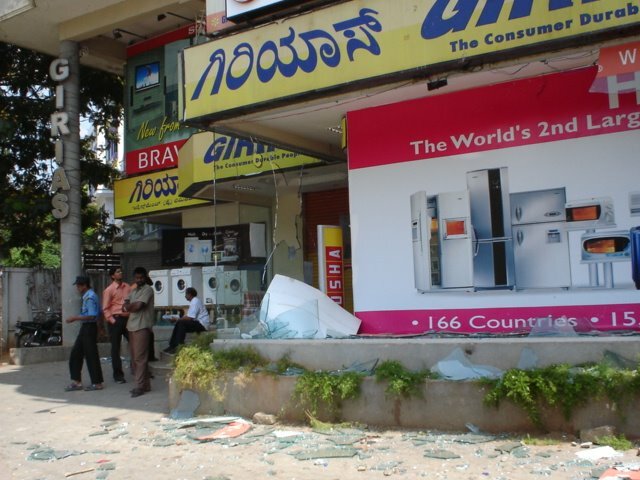 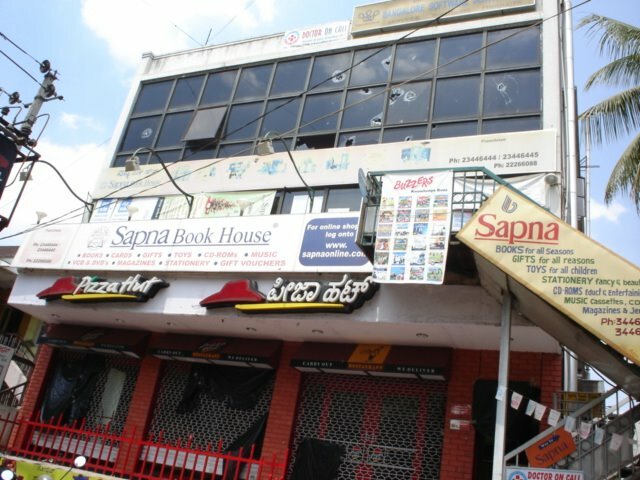 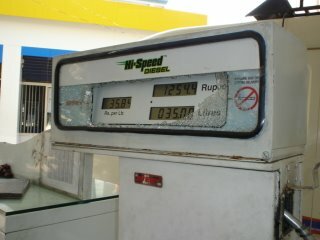 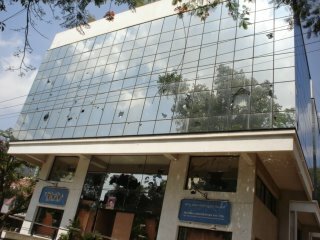 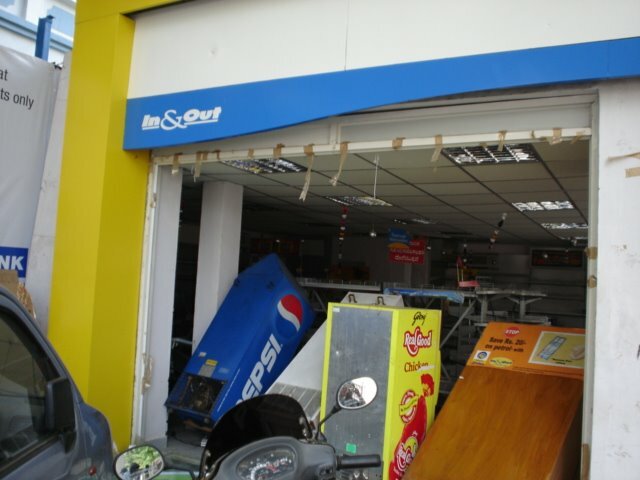 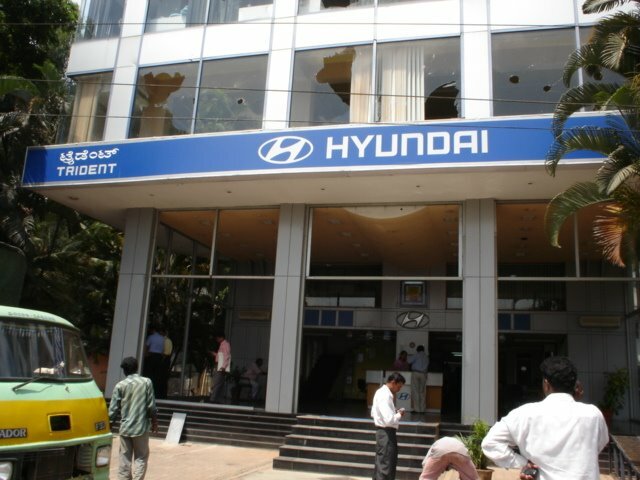 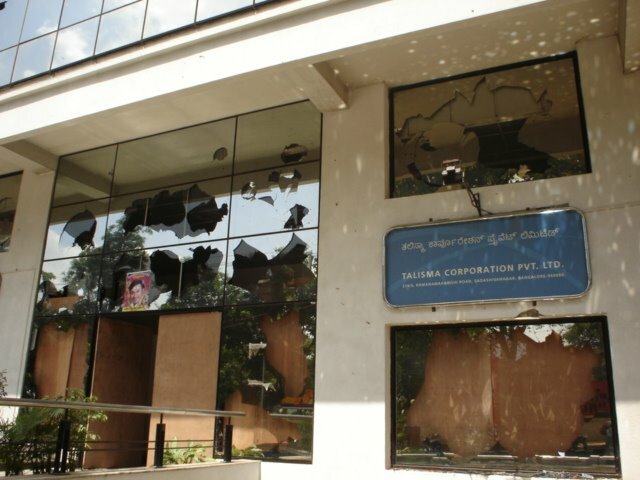 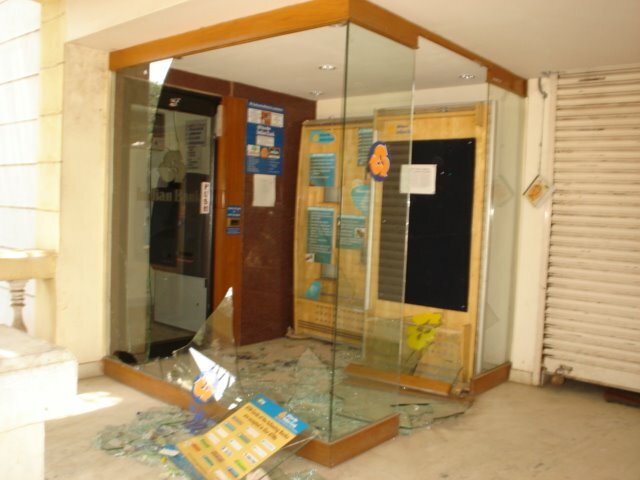 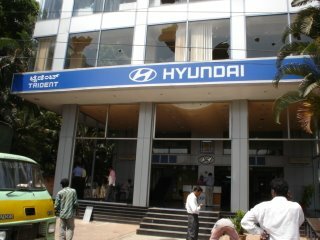 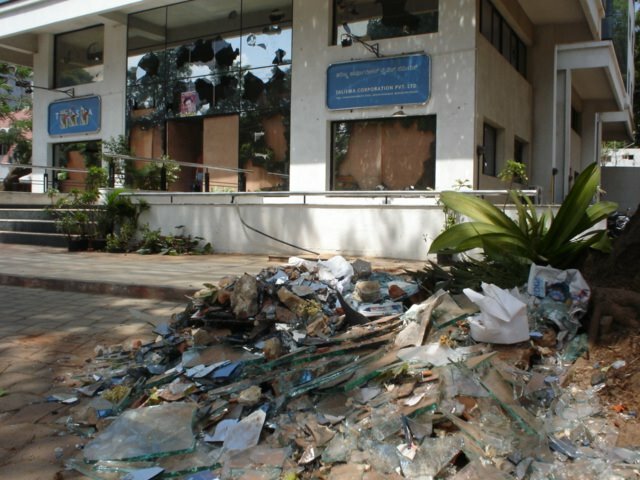 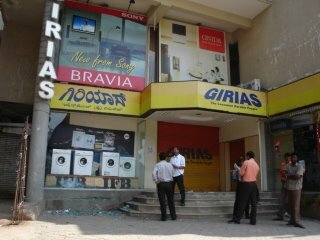 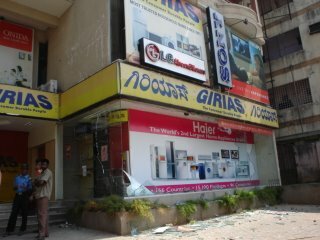 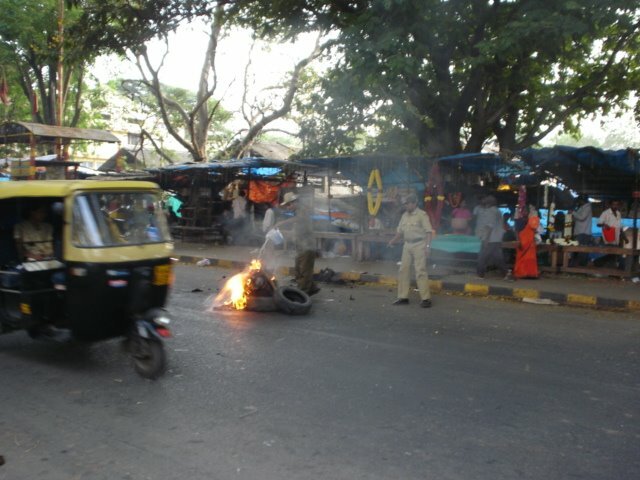 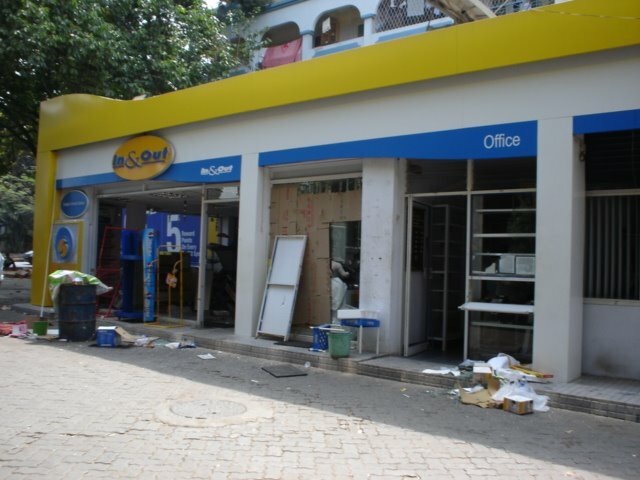 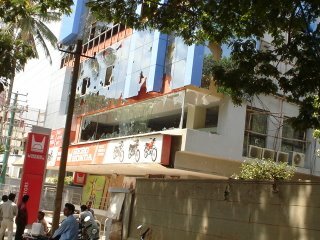 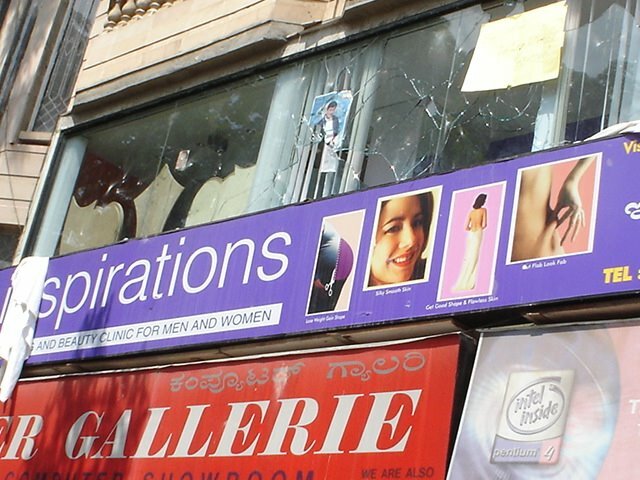 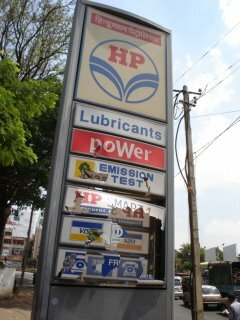 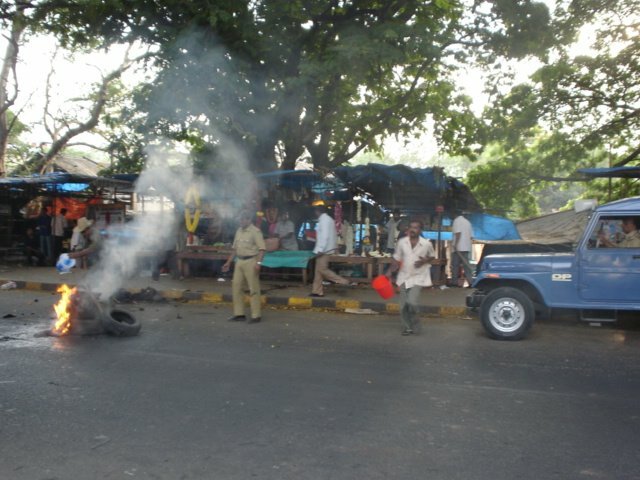 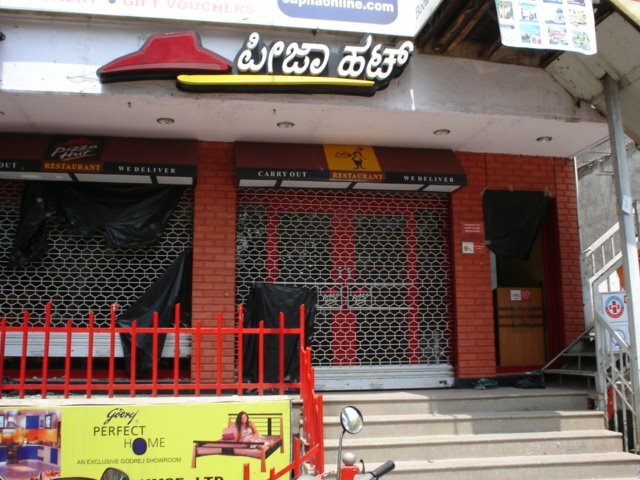 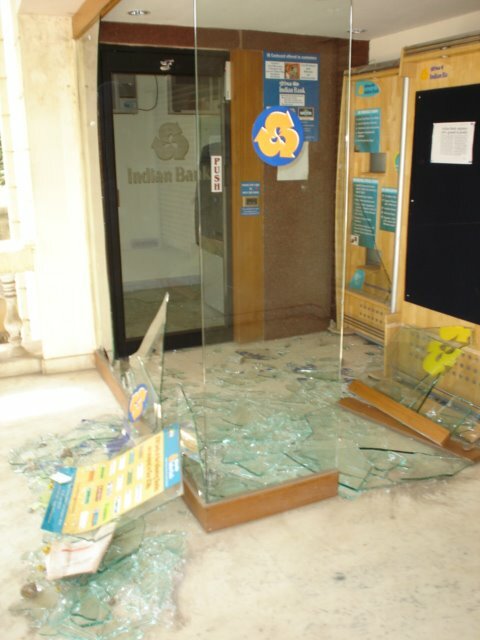 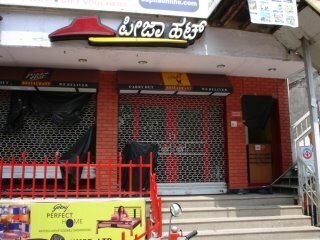 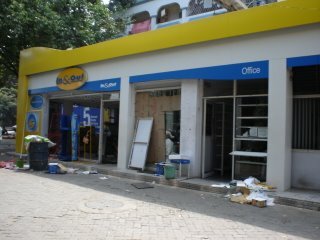 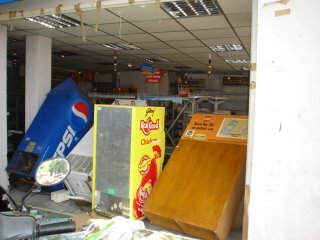 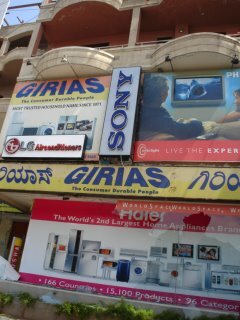 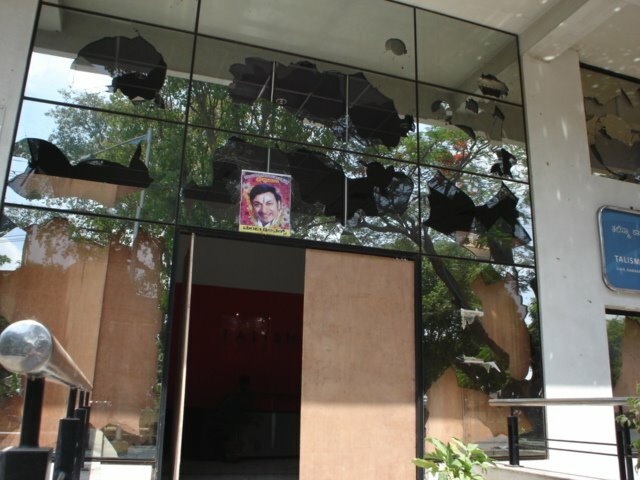 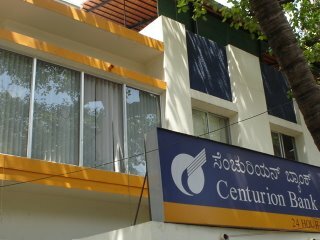 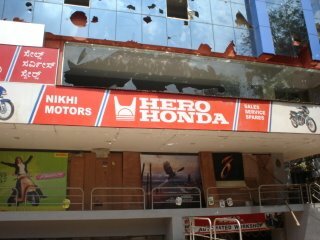 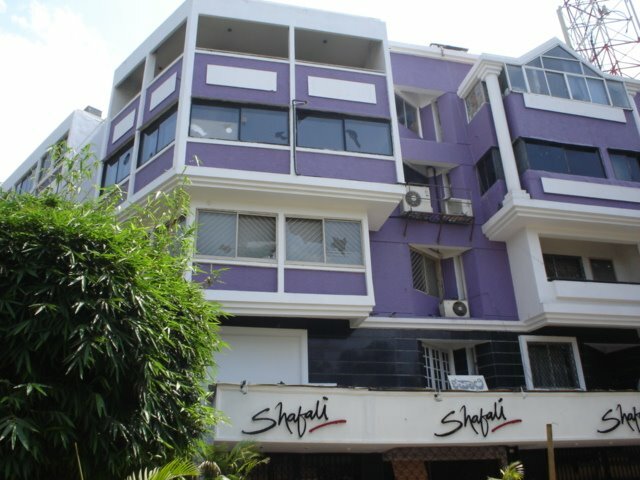 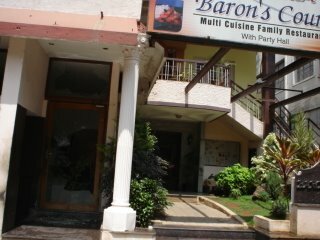 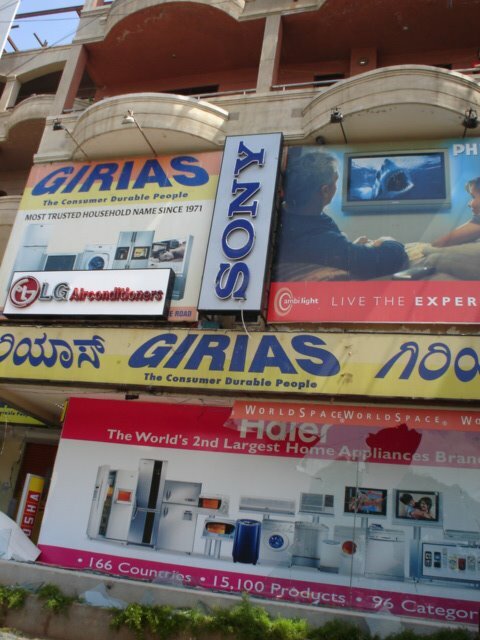 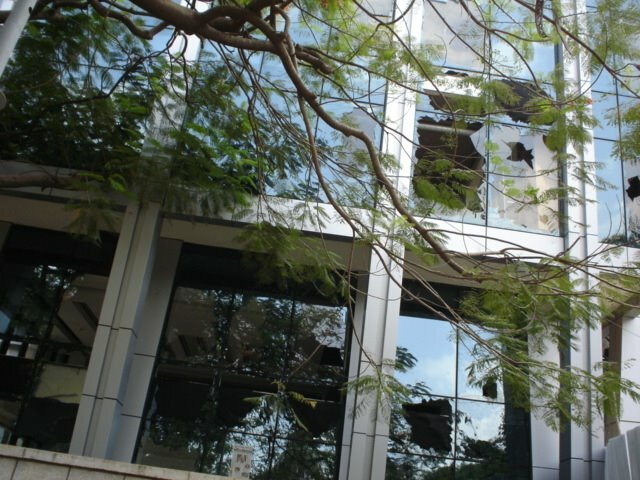 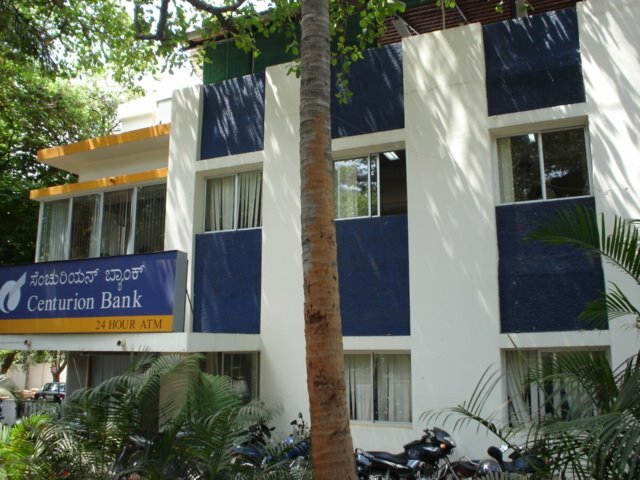 With shops plundered, every visible glass broken, petrol stations damaged, showrooms rampaged, the scene in Bangalore by the evening of 13th April 2006 was that of a war zone. Worse, despite all the pillage, not much security was visible on the roads that evening; in other words, anyone could easily have taken advantage of the absolute lawlessness and the prevailing commotions. 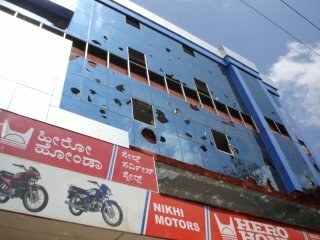 Whether such incidents have been reported remains to be seen. 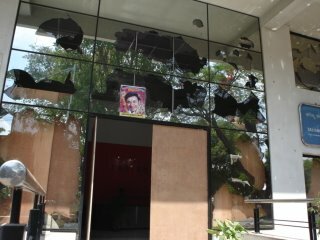 What follows is a sample of the havoc that a mindless mob wreaked on the Capital City of Karnataka, following the demise of Film Icon Dr Raj Kumar. 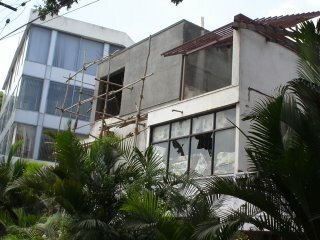 The snaps are not exhaustive - they are all from the vicinity of the residence of the departed Hero. Worse incidents have been reported from the other parts of the City - including that of a Police man on Duty having been beaten to death! Meanwhile, the Chief Minister of Karnataka has interestingly remarked that a major reason for the commotion was the dispatch of police forces in huge numbers to the neighbouring states of Kerala and Tamil Nadu on election duty! That does raise some speculation as to the logical abilities of a state that sent so much of its force out as to not provide security to the path along an 11 km long procession. 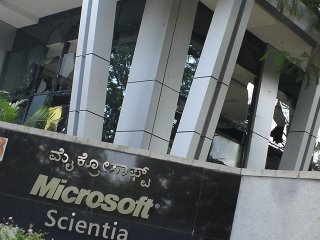 On the other hand, it makes on wonder if the solution for a perennial menace has been dug out by the new Government - if Karnataka has been benevolent enough to pack all of its force out to its neighbours on their election duty, the Government would certainly let all of River Cauvery run down to Tamil Nadu this summer. 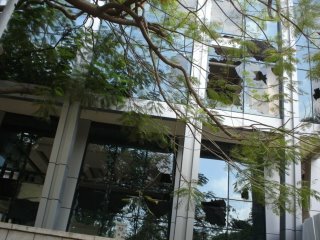 So, do we rejoice at the prospect of a dramatic solution to the River Water issue? Yeah, it's sad - something more than that. 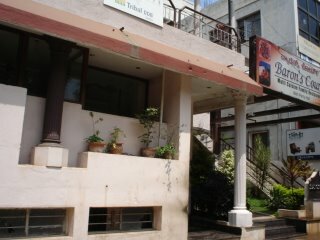 Will have a look at your blog.